Eighth Congressional District Democratic Nominee Jamie Raskin will presumably vacate his State Senate seat some time after the November elections. A number of people’s names are already being bandied about to fill the seat, including Heather Mizeur who represented D20 in the House of Delegates until 2015 but now lives on the Eastern Shore. Good news for Mizeur and any other potential Senate aspirants. There is still time to establish residency in D20 because Article III, Section 9 of Maryland’s Constitution requires that legislators live in a district for only six months in advance of the election. May 9th is six months before the day after Election Day. Sen. Raskin could wait until being sworn into Congress to resign his seat, which would delay the appointment process. As the General Assembly session begins in January, I imagine he would want to start the ball rolling earlier, so that someone could be in the seat from the beginning of the session. Of course, all of the above also applies to District 40, which can expect with equal certainty that now Sen. Catherine Pugh will become Mayor of the City of Baltimore after the general election. So watch for any moving trucks in these districts! 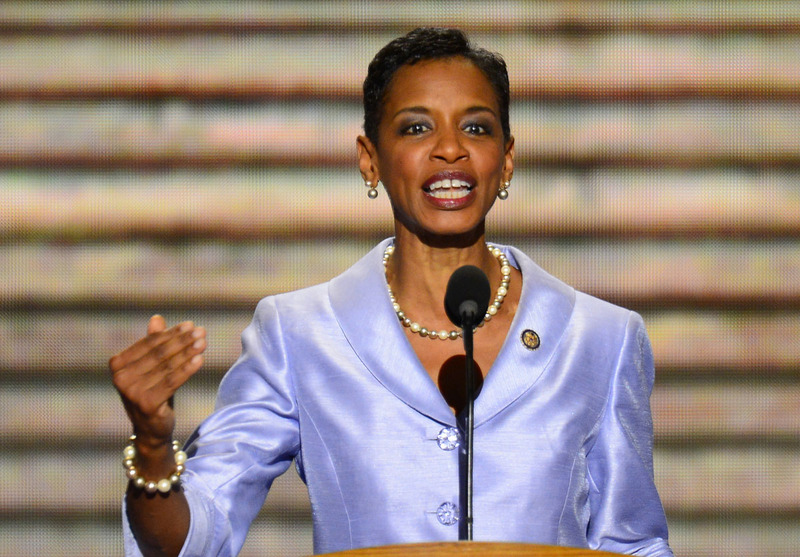 EMILY’s List announced its support in the upcoming senatorial race for Rep. Donna Edwards. Great news for her campaign as she’ll need all the money that they can raise and more. Beyond the fundraising, it also gives her the imprimatur of a major endorser. An important day for the Edwards campaign. Bad news for other women who had been musing about the race, specifically Baltimore Mayor Stephanie Rawlings-Blake and former Del. Heather Mizeur. Rawlings-Blake already has a challenging day job and it is unclear how serious she is about running for Senate. This is now the second time that EMILY’s List has taken a pass on Mizeur who has been promoting her candidacy with donors as well as through her expansive social network. Of course, Mizeur could turn to an open congressional race where she could be a very competitive candidate–and might gain EMILY’s List support. I had wondered if Chris Van Hollen might play Hamlet and have a tough time making a decision on whether or not to enter the Senate race. After all, he ranks high in the House Leadership and was tipped as a strong candidate for Speaker. But I didn’t have to wonder for long. Rep. Van Hollen acted decisively and entered the race. He brings a lot of major advantages to his candidacy. Chris Van Hollen’s base in Montgomery is strong and large. Thanks to redistricting, he has represented most of it at one time or another. While we have many well-liked pols, Chris is the most widely popular and respected. Put another way, his is the endorsement that most state legislative candidates in the County want on their mailers. He will have a large army of loyal and excited volunteers, including many who worked on his congressional campaign. Equally important, he already has very smart advisers such as Joan Kleinman and Karen MacManus. Like so many originally from Louisiana, Karen has very quick political sense and a formidable ability to organize and get things done. Van Hollen’s campaign will be very well funded. The Sun reported that he already has $1.7 million cash-on-hand. As a former head of the DCCC, his network could hardly be more extensive. Having raised so much money for many his colleagues, he may benefit from their support is well. But the most important advantage held by Van Hollen is that many see him as the full package: a policy wonk who can also strategize and communicate. He has always been fast on his feet challenging Republicans on the floor or on television. Equally important, he conveys the Democratic message in an appealing and completely understandable way. And Rep. Van Hollen doesn’t do this by temporizing. He is unafraid to stand up for progressive priorities, such as when he opposed the CROmnibus. Just watch one of many examples in the above clips in which he wins the debate not just intellectually but in terms of communication even on FOX. Some fear that he may suffer from the same problem as Mike Barnes did when he ran for Senate in 1986. Rep. Barnes carried Montgomery handily but failed to make inroads elsewhere. A key difference from 1986 is that Mikulski had already run for Senate in a general election. Though she lost that uphill race against Sen. Mac Mathias, she gained both credibility and name recognition. No sitting representative in Maryland has that advantage. Nonetheless, Chris will have to break out of Montgomery. He has represented portions of other counties. His connections from his days in the state legislature may also help these efforts. It will also aid the Van Hollen campaign if other Montgomery based candidates like John Delaney and Heather Mizeur stay out of the race. Who are the Most Progressive Members of the House of Delegates? The above table contains a list of the 84, or 60 percent, most progressive delegates going into the 2014 elections, according to Boris Shor and Nolan McCarty’s measure of state legislator ideology. Remember that the lower the score (i.e. the more negative or left on the number line), the more progressive the legislator. Second, the the tradition of the House is that legislators vote with their committee on the key second reading of bills that have emerged from their committee. The basic rationale is that legislators should not have a second bite at the apple and go along with the results of their committee. Adherence to this tradition would alter a legislator’s score if they would have otherwise voted differently. As a rough cut, the top four deciles, or 40% of the House, are all solid progressives or liberals (pick your favorite) on most issues. 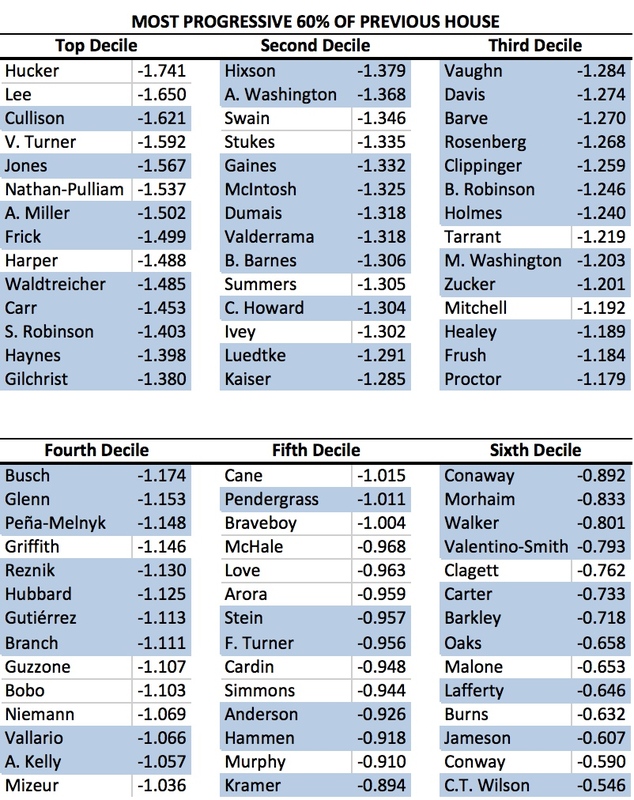 The fifth and sixth deciles, who formed the middle 20% ideologically of the old House, were more center left with legislators becoming more moderate as the scores get closer to zero. Liberalism appears somewhat related to the likelihood that a legislator from the old House will return in the new one. Consider that 11, or 26%, of the 42 most progressive legislators (i.e. the top three deciles) will not return in 2015. But among the 42 next most progressive legislators (i.e. the fourth through sixth deciles), 17, or 40%, will not serve in the new House. Notice that Speaker Michael Busch was slightly left of center in his old caucus (remember 13 Democrats are not in the tables). He seems likely to be slightly right of the center in his new caucus, as more moderates were defeated. Moreover, it seems quite possible that newly elected legislators will be more left wing than the delegates who preceded them in office. Interestingly, the three most progressive returning legislators according to the Shor-McCarty measure sat in the Senate: (1) Rich Madaleno, (2) Paul Pinsky, and (3) Roger Manno. However, the next two were members of the House: (4) Susan Lee, and (5) Bonnie Cullison, though Lee is moving from the House to the Senate when the new General Assembly convenes. 1. Larry Hogan. Not only did he win but he completely shocked everybody by winning by a greater margin than Bob Ehrlich in 2002. A stunning victory by a Republican in Deep Blue Maryland. Democrats just didn’t think it was possible. 2. Polarization. The Democrats who lost in the General Assembly are almost all moderate or conservative Democrats: Sen. Roy Dyson, Del. David Rudolph, Del. Norm Conway. The Democrats will be more liberal and the Republicans more conservative. Expect even more acrimony between the Governor and the General Assembly than when Ehrlich was in office. 3. Chris Christie. I know one governor who will be endorsing him 2016. While Maryland doesn’t carry a lot of weight in the Republican Party, I am sure that Christie will welcome its delegates. 1. Martin O’Malley. The loss of his chosen successor undercuts completely his (vice?) presidential campaign. His legacy has now been repudiated by his own state at the polls. 2. Lieutenant Governors. The curse continues. Blair Lee lost in the primary, and now Katheen Kennedy Townsend and Anthony Brown have lost in the general. Perhaps Ken Ulman should be relieved. 3. Purple Line and Red Line. Governor-Elect Hogan has said he will not proceed with these projects. Why on earth should he throw billions at light-rail for areas that will never vote for him? He’d rather spend the money on roads. 4. Orange is Not the New Black. I am sure that Heather Mizeur was completely sincere in her Baltimore Sun opinion piece. But many who are not her diehard fans will view it as a cynical ploy to get her name before the voters even as she threw Anthony Brown under the bus while avowedly endorsing him. The most memorable moment of the campaign will not be forgotten. Ocean City Mayor Rick Meehan–While a well-known and popular figure on the Lower Shore, Rick has the disadvantage of never having run for anything except for municipal office. Municipal elections in Maryland tend to be low key, low budget affairs. I’m also not confident in his fundraising potential. However, the Salisbury media market is so cheap that even half a million might be enough to wage a real campaign. Delegate Mike McDermott–Currently challenging Jim Mathias for the District 38 State Senate seat, I’ve heard him discussed as a potential primary challenger to Andy Harris. I’m sure he’d run in an open seat situation. With more fights under his belt after this cycle than most Maryland pols, he could raise at least 500k (which is a competitive sum in this type of Republican primary). Before he resigned, I’d have rated self funding multimillionaire State Senator EJ Pipkin as the man to beat. But he’s moved to Texas to get a Master’s in Sports Management. Then there was District 37 Senator Richard Colburn (who had challenged then Congressman Wayne Gilchrist in a past election), but he was defeated in the primary by Delegate Addie Eckhart (who now represents 1/5th of the district) and would be wise to take a shot at this seat if she wants to move up further before moving out. The most dynamic potential candidate by far is soon to be former Delegate Jeanne Haddaway-Riccio, Harford County Executive David Craig’s running mate in his failed gubernatorial bid. The very smart, photogenic former Minority Whip might very well be the choice of national Republicans and could raise $1 million dollars (a substantial sum in this rural district). Former Bush Administration official Mary Beth Corrrazzo (who I think will cruise to victory in her Lower Shore subdistrict against former Teacher Judy Davis) would be another incredibly dynamic candidate. I believe she could raise up to $2 million, a crushingly large sum here. She would be an even likelier choice for national Republicans. Former Harford County Executive David Craig would be a strong candidate. A little dull and more moderate than the Republican Primary electorate, but still a very strong candidate from the suburban Baltimore piece of the district. On the Democratic side, the bench here is weak and we normally end up with sacrificial lamb candidates given the district’s current configuration. Former Congressman Frank Kratovil might be enticed to run in an open seat but would he really give up a judgeship for what is at best a dicey proposition? The former representative would, however, turn this into a hotly watched race. Kratovil raised just over $2 million dollars in 2010 and I expect he could hit that mark once again. Former Republian Congressman Wayne Gilchrist is far too liberal (he endorsed Heather Mizeur, the Delegate from the Democratic People’s Republic of Takoma Park, for Governor in the Democratic Primary for Governor) to win a GOP Primary. He’d be welcomed with open arms by the DCCC and could raise the $1.6 million it takes on average to win a congressional seat. The dominant rumor in the state for the last few weeks has been that soon to be former Montgomery County Delegate Heather Mizeur intends to challenge Andy Harris from her organic farm in Kent County. This is too ridiculous for my tastes. I think she could raise $1.25 million (what she raised for Governor pre-match). I also think she’d lose by twenty points. District 38 State Senator Jim Mathias would be a stronger candidate with deeper roots in the district and if the DCCC got involved (which I think they would), could raise well over $1 million dollars. But any Democrat would find it very tough to win this heavily Republican turf. Chris Van Hollen probably ain’t going nowhere. He has a lot to lose and very little to gain by running for US Senate. In the House, he’s got a solid shot at the Speakership (if Team Blue ever regains control of the chamber). Even if he falls short, he’ll likely advance into some lower tier of leadership–and being Majority Leader or Caucus Chairman ain’t bad. Perhaps he ends up in some lofty post in a theoretically Biden Administration (the Vice President is very close to CVH). But hey, many a down county pol dreams of the day this seat will open up . . . so let’s speculate. State Senator Jamie Raskin (D-20): Jamie represents about 20% of MD-08 and would carry with him a rabid base of progressive activists. I believe he would be able to tap into a substantial network of national “net roots” small donors as MD-04 Congresswoman Donna Edwards was able to in 2006 and 2008. He’d also be able to raise money from national progressive donors. I think he could raise betwixt $1,000,000 and $1,600,000 for this bid. State Senator Rich Madaleno (D-18): Rich would likely attract substantial backing from a large community of national LGBT donors. 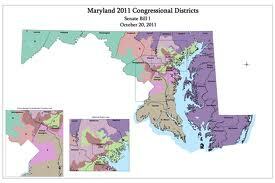 He also represents 1/5th of MD-08 currently and presents a more practical blend of progressivism than Senator Raskin. I believe he could raise between $700,000 and and a million dollars. Delegate Bill Frick (D-16): I discussed Delegate Frick’s congressional fortunes in my post on MD-06. He represents a much larger portion of MD-08 than MD-06 so he might have a stronger showing here. County Council Member At Large Hans Riemer: Hans has the distinct advantage that he represents the vast majority of Democratic Primary voters in this district. He’d also be a nice Obama spin off Congressional Candidate. Perhaps by the time MD-08 is open the President will be ready to stump for the alumni of his historic campaigns. I think Hans could put together $500,000-$650,000. He also has the opportunity to a great deal of constituency building due to his county wide position. District 5 County Council Member Tom Hucker: It is my opinion that Tom Hucker espouses a slightly different brand of progressive rhetoric than Jamie Raskin. Jamie is the liberal law professor while Hucker is a fiery labor organizer. I believe Hucker would be labor’s choice and could come up with between $350,000 and $600,000. Former Delegate Heather Mizeur (District 20): This is the seat Heather was born to run for. Unfortunately, I think Raskin would cut her electoral base out from under her. This is very different than her donor base and I believe she could rake in between two and three million dollars for her bid. Weirdly, I hear her mentioned more frequently for MD-01 (where she owns a vacation home, in Kent County). In a field likely to be chock full of dynamic progressive elected officials (think Raskin, Hucker and Mizeur) vying to be the farthest of the far left a slightly more pragmatic liberal (think Madaleno, Frick or Riemer) could break through. It even opens the door for a real moderate (!) self funding businessman to flood the race with money and cruise to victory. Did I miss someone? Am I off base? Shoot me an email at johnga.ems@gmail.com. I live tweeted it @theseventhstate. I’ll leave you to decide who won but here are some quick thoughts. Gutsy Moments: Doug Gansler sticking up for a corporate tax cut in a Democratic debate; Heather Mizeur calling for full marijuana legalization. As the front runner, Anthony Brown played it safe. Anthony Brown Strengths: Looked comfortable and gubernatorial. Linked himself to Gov. O’Malley successes on issues from marriage equality to raising the minimum wage. No mistakes that should cause him trouble in the future. Heather Mizeur Strengths: Good on specifics but not too bogged down in details–a tough balance. She deftly took advantage of Gansler/Brown attacks on each other to look like a leader and the adult in the room. Doug Gansler Strengths: Very convincing on the economy–came across as the practical progressive who has a real plan for the State to move forward. Turned around reprimand attack by Brown in a devastating way. Made it look sleazy. Last Friday, I explained how Progressive Neighbors just isn’t attracting the love from incumbent Democrats. A majority of incumbent legislators didn’t even return their candidate questionnaire. Anthony Brown and Ken Ulman didn’t fill one out either. The MO of this campaign has been to seek aggressively virtually every endorsement around the State, so their decision to decline to seek that of Progressive Neighbors speaks volumes. Surely, the lack of interest from the man who may be the State’s first African-American governor must have caused some navel gazing in this progressive organization even if the policies of Heather Mizeur and Delman Coates better fit their profile. Brown-Ulman are not the only ones who appear to have made a calculated decision to give PN a pass. Is anyone really surprised that Council President Craig Rice did not bother to fill out the questionnaire when his 2010 opponent–a perfectly nice woman in my experience–sits on the Steering Committee that votes on endorsements? One major reason for the antipathy expressed by many for Progressive Neighbors’ endorsement process is that 5 of the 19 members of their Steering Committee are running for either the state legislature or the county council. Boards often have a member seeking office but I’ve never heard of five at once. Not only that but the PN endorsement questionnaires were unbelievably sent out by one of these candidates–even to her opponent. Progressive Neighbors views this as a minor hiccup that was corrected less than a week later after it was pointed out. But it is far more than an oopsy daisy. Portions of the questionnaire attack corporate cronyism and call for public financing. How can people so concerned about inappropriate influence on politics think it was a good idea for a candidate to send a questionnaire to her opponent? Progress has been made in improving transparency in the General Assembly over the past four years, with greater access to online tools for the public, the posting online of committee votes, and increased audio and video coverage of legislative deliberations. Much still remains to be done, however, including posting of subcommittee votes, committee amendments and votes, and the institution of a system to allow constituents to sign up to testify online the day before a committee hearing so they don’t have to spend all day in Annapolis waiting to testify. Do you support these improvements, and do you have others you’d like to offer? 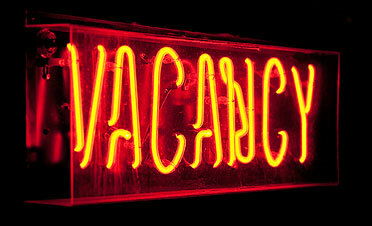 Are you willing to support special elections to fill legislative vacancies? Do you support stripping the party central committees of the power of appointment, which ultimately lies with the Governor? But the structure of the organization and its endorsement process is less open than might appear at first glance. The PN Steering Committee is elected by . . . the Steering Committee. The same committee–the one with five members running for office–also controls the endorsement process. The Steering Committee may choose to have a secret ballot on certain concerns and some meetings may be closed. Steering Committee members will be encouraged to keep individual Steering Committee members’ votes in confidence. Surprisingly, the Steering Committee did not endorse two of their own members. In News of the Weird, Jonathan Shurberg and Will Smith were progressive enough to serve on the Steering Committee but not to be endorsed. I imagine that PN would argue that it somehow proves the integrity of their process but it is also just odd since both are credible, progressive candidates. Other choices seem as bizarre. In District 18, Del. Ana Sol Gutiérrez has long been a stalwart staunch progressive. How on earth can she, the first Latina elected to public office in Montgomery County who passionately favors left-wing policies to reduce economic inequality, not be progressive enough? On the other hand, the organization endorsed both Steering Committee Member Terrill North and Del. Tom Hucker for the open District 5 County Council seat. Apparently, PN decided to give Hucker, generally viewed as a solid left winger, a pass on his recent vote against indexation of the minimum wage in the House (Gutiérrez along with Mizeur and Ivey voted yea) despite having pressed that the County adopt this stand.